Marianna Kheyfets makes weight for her hometown debut against New Hampshire native Kaline Medeiros. Marianna was a lean 124lbs while kaline was a solid 123lbs. This marks Reality Fighting’s first female bout. 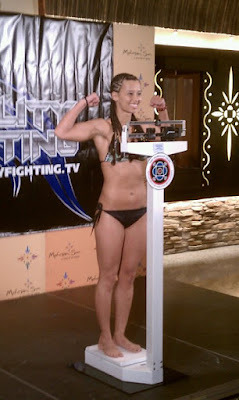 Although a CT native, this will actually be Marianna’s first fight in the Northeast. She looks forward to showcasing her skills in front of her hometown fans.